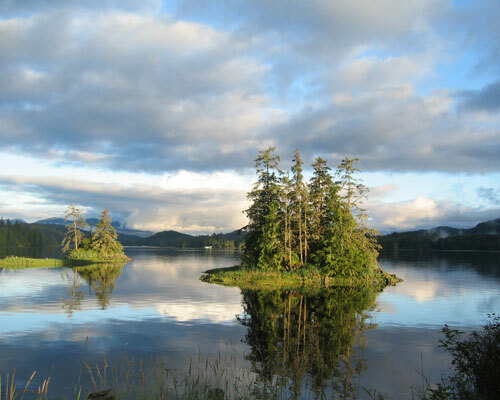 (SitNews) Ketchikan, Alaska - The Tongass Advisory Committee (TAC) held its first meeting last week to kick off the process of developing recommendations on forest management on the Tongass with an emphasis on young-growth management. Over the course of three days last week in Ketchikan, the group discussed operating procedures and goals for the process; developed a vision; nominated co-chairs; and identified information needs and activities to assist with future deliberations. Throughout the discussions, the members worked to acknowledge the importance of the diverse values and interests represented within the group, and laid a foundation for a productive and collaborative tone as they discuss important issues facing the Tongass National Forest. Wayne Benner of Thorne Bay, Alaska and Lynn Jungwirth of Hayfork, California were nominated as co-chairs for the Committee. Both were recognized for their experience and community focus. Benner offers a strong local perspective as city administrator for Thorne Bay since 2010 and a member of the Prince of Wales Community Advisory Council. Jungwirth brings over 20 years of experience with community forestry and collaborative approaches to natural resource management throughout the nation. With experience from other regions and forests, Jungwirth brings a valuable perspective that scales beyond the region. The Committee recognized the value of the complementary experiences that the co-chairs offer on the local and national levels. Quoting a news release, the Advisory Committee concluded the meeting" equally excited about the process and aware of the challenge of the task at hand". The Advisory Committee concluded the diversity of its members, their collective experience, and their differing viewpoints offer great potential to develop recommendations for lasting solutions for forest management and young-growth timber in Southeast Alaska. Co-chair Jungwirth reflected, “I am really impressed by the amount of knowledge, experience, and good-will at the table, and am very optimistic about the ability to move forward. At the same time, I am overwhelmed by the gravity of the situation. We have the responsibility to help create no losers through the solution – that includes local and national interests.” The members are aware of the value of a timely response in order to meet the deadline for incorporating their recommendations into the Tongass Forest Plan Amendment. The Committee encourages interested members of the public to attend future meetings, and bring any new ideas and/or concerns before the TAC through the public comment process. The next meeting is scheduled for September 10-12, 2014 in Juneau, Alaska.